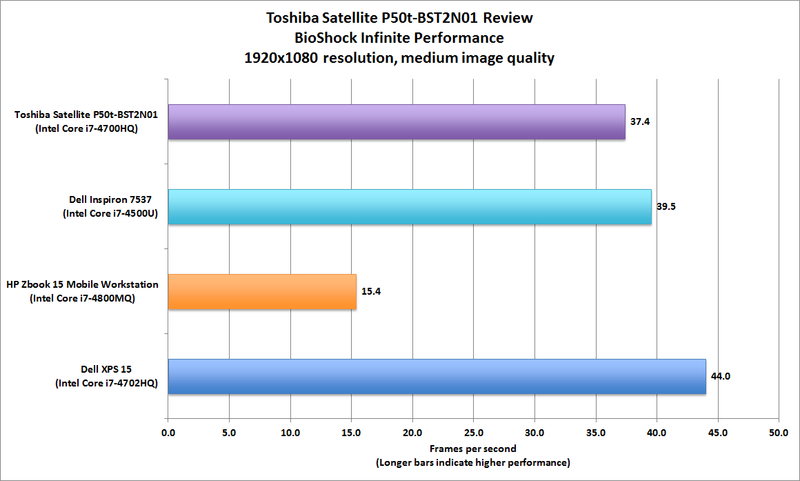 Toshiba’s Satellite P50t boasts two important firsts: It’s the first laptop to feature a 4K display, and it’s the first to be Technicolor Color Certified. You likely have at least a passing familiarity with 4K video, but I would argue that the latter claim to fame—which you might never have heard of—deserves more praise. It’s easy to go gaga over the Satellite P50t’s display, which boasts a resolution of 3840x2160 pixels. 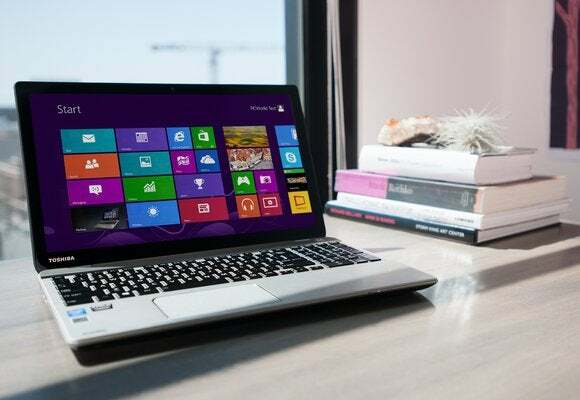 The laptop is outfitted with a 15.6-inch screen, which means it offers an eye-popping pixel density of 282 ppi. But don’t buy this laptop in anticipation of watching your favorite movies and TV shows in glorious 4K—there is almost no content available in that format right now. Yes, Netflix is streaming House of Cards in 4K, and the company plans to stream Breaking Bad episodes at the same resolution later this year. But Netflix recommends having a broadband connection of at least 25 Mbps to get it. I don’t know about you, but my ISP tops out at about half that rate. Toshiba’s Satellite P50t-BST2N01 is the first laptop to come equipped with a 4K (3840x2160) display. And it’s every bit as beautiful as you’d expect. The Blu-ray format, meanwhile, will need to be overhauled before it can be used to distribute 4K movies. No one expects that to happen before the end of 2014. And the P50t is equipped with a DVD burner, not a Blu-ray player, so you can forget about the computer upscaling Blu-ray playback from 1080p to 4K. Even if it could, the P50t’s battery will give up the ghost long before the credits roll on longer films. In our grueling battery-rundown test, Toshiba’s machine crapped out in just 1 hour and 52 minutes. So let’s turn our attention to the Satellite P50t’s other first: The first laptop to be Technicolor Color Certified. You’ve probably seen the Technicolor brand in the credits of many films. The company did pioneering work in color film processes in the early days of Hollywood, and it has provided technical services to the motion-picture industry for decades. Technicolor developed the Technicolor Color Certified specification as a means to guarantee the color you see on a consumer computer or mobile display is accurate, without needing to whip out a colorimeter or other pricey hardware. The spec focuses on three use cases: Entertainment, e-commerce, and consumer content creation. Chroma Tune, developed by Portrait Displays, lets you choose from five color spaces. You can also configure it to change color space when you switch applications. In the entertainment space, Technicolor Color Certified guarantees that the colors you see on your display when you’re watching a movie or video are exactly what the director and the cinematographer intended. When it comes to e-commerce, the spec ensures that the color of the items you buy from online retailers will match what you saw online when you placed your order, eliminating unpleasant surprises when you open the box when it arrives in the mail. And when you’re producing your own content, you can be certain that the photos and videos you shoot will look the same on your computer as they do in your camera. As Technicolor VP, Technology Licensing Ed Thompson explained in a recent briefing: “The benefit to the consumer is to provide an accurate color experience. The real goal of the program is to match the color format of the content to the display capability of the monitor.” Technicolor partnered with software developer Portrait Displays to achieve this goal. Portrait’s software talks to the computer’s graphics and display hardware to automatically control color settings and adjust color gamut. But you can’t simply install the software to get Technicolor certification. Representative samples of the LCD panels each OEM decides to use are calibrated at the factory, and the data needed to tune that panel to comply with the spec is loaded into the software that’s delivered to the OEM. Toshiba provides both gigabit ethernet and 802.11ac wireless networking options. You’re not limited to using the Technicolor color space. Using Portrait Displays’ Chroma Tune app, you can switch between Technicolor and a “cool” color space for working with productivity apps, for instance. 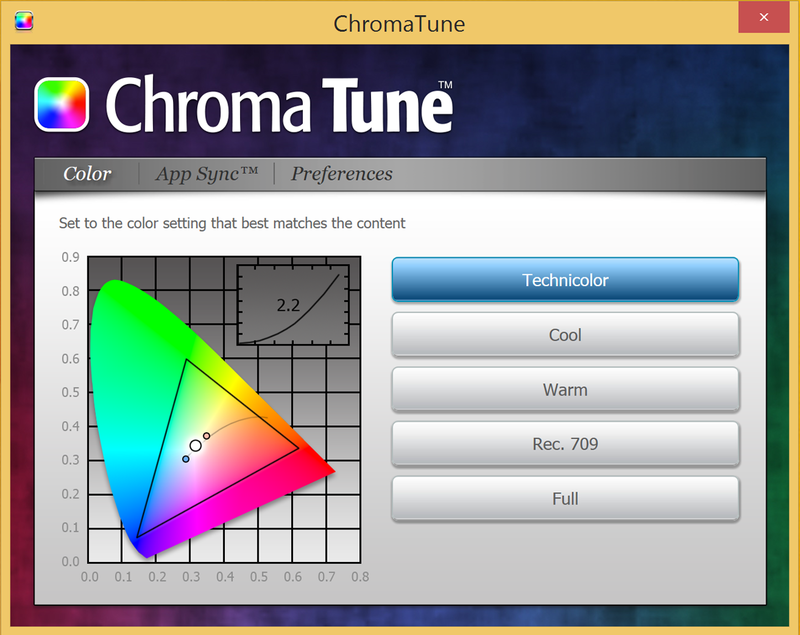 Chroma Tune also has a “warm” color space, one that fits the Rec. 709 standard developed for HDTV), and “full” color space. You can also assign color spaces to particular applications, so that your computer automatically switches to the desired color space when you launch a given program. Put these two technologies together and you get an absolutely gorgeous display. The 4K demo footage Toshiba preloaded on the machine looks amazing, as do games—when you turn the resolution down to 1920x1080 to get a playable frame rate, that is. At that res, the P50t delivered BioShock Infinite at 37.4 frames per second. There’s just one major shortcoming: Glare. There are times when the Satellite P50t’s screen looks like a 15.6-inch mirror. The problem is particularly acute with nighttime scenes. This is a common shortcoming with color touchscreens, but it’s one you should be aware of. Games look great on the Satellite P50t’s display, but don’t try playing AAA titles at its native resolution. Toshiba stubbornly insists on providing only HDMI video outputs on its laptops, which leads to another shortcoming. Should you decide to connect the P50t to an external 4K monitor, you’ll be limited to a maximum refresh rate of 30Hz. That’s not a big problem if you’re going to watch a movie in your home theater, but your eyes will dry up and fall out if you spend much time trying to edit photos or video at an external 4K monitor’s maximum resolution. Had Toshiba’s engineers used DisplayPort or even HDMI 2.0, this wouldn’t be a problem as both those standards can deliver 4K video at 60Hz refresh rates. Most of the rest of the P50t’s specs are impressive: The machine is powered by Intel’s Core i7-4700HQ processor, augmented by 16GB of DDR3/1600 memory. And it has a discrete graphics processor in the form of an AMD Radeon R9 M265X, which taps 2GB of its own GDDR5 memory. Toshiba includes gigabit ethernet and an Intel Dual-band Intel Wireless-AC 7260 adapter, so you can take full advantage of your 802.11ac router’s excellent streaming capabilities. All four of the Satellite P50t’s USB ports are USB 3.0, and there’s an SD memory card reader in front. 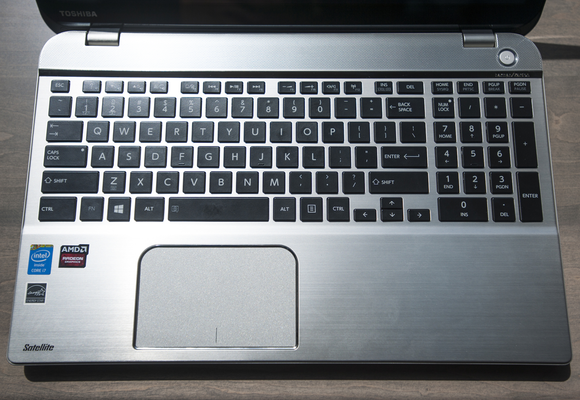 Although its key travel is very short, the backlit island-style keyboard felt great under my fingers. The size of the display left plenty of room for a numeric keypad on the right-hand side, but I found the 1/4-size arrow keys beneath the shift key and the equally small function keys in the top row to be annoying. The Satellite’s keyboard is mostly great, but the tiny arrow and function keys are a bit of a bummer. 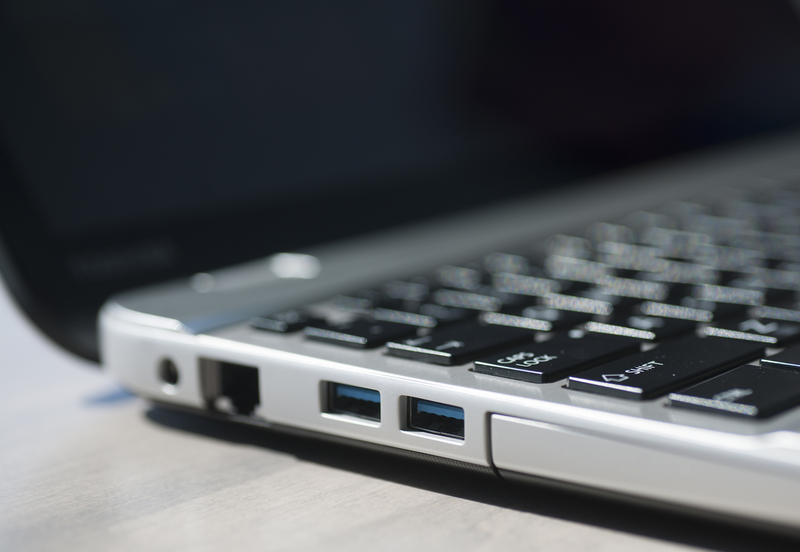 In terms of overall performance, The Satellite P50t trailed HP’s work-oriented ZBook 15 Mobile Workstation (powered by a Core i7-4800MQ and a 1TB, 7200 rpm hard drive) and Dell’s entertainment-focused XPS 15 (driven by a Core i7-4702Q and a 512GB SSD). But the Toshiba clobbered Dell’s Inspiron 7537. While all four machines are outfitted with Core i7 processors, the Dell’s Core i7-4500U is only a dual core and that PC is equipped with a 5400 rpm mechanical hard drive. 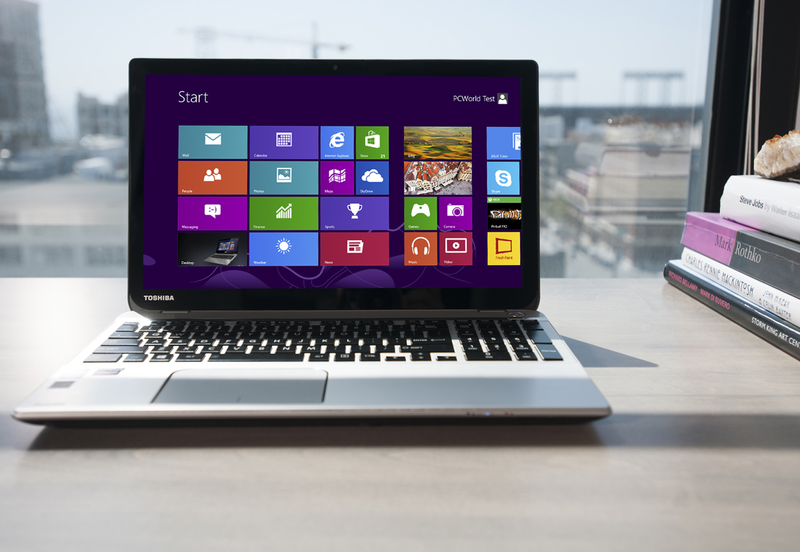 The Toshiba is equipped with a 1TB hybrid hard drive (a 1TB 5400 rpm hard drive augmented by 8GB of solid-state memory). The HP has a mechanical drive, too, but it spins its platters at 7200 rpm. The XPS 15, meanwhile, comes with a 512GB SSD, and SSDs have an outsized impact on our benchmarks. 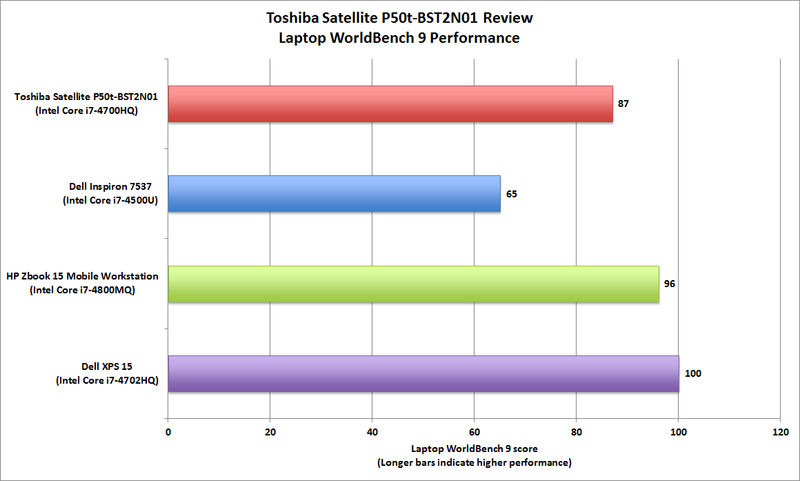 The Toshiba’s WorldBench score would be even higher if it had an SSD instead of a hybrid hard drive. The Toshiba Satellite P50t delivers the highest resolution of any laptop you can buy today. But you won’t want to play games at its native resolution, and there’s almost no entertainment content to watch on its beautiful screen. It’s an awesome tool for digital content creators, provided you can get by with its 15.6-inch panel. No one will want to use it with an external 4K display at a refresh rate of 30Hz. This is one beautiful laptop, but with 4K content so hard to come by, you might be paying for more technology than you can actually use.